The Culto de la Cruz Parlante began on October 15, 1850, when a wooden cross dressed with a huipile was erected next to a cenote near today’s town of Felipe Carrillo Puerto. Standing alongside, a Mayan rebel ventriloquist would throw his voice, making it appear as if his words were coming from the cross. The cross told the rebels that they had suffered enough and now they had been chosen by God to be his chosen people. 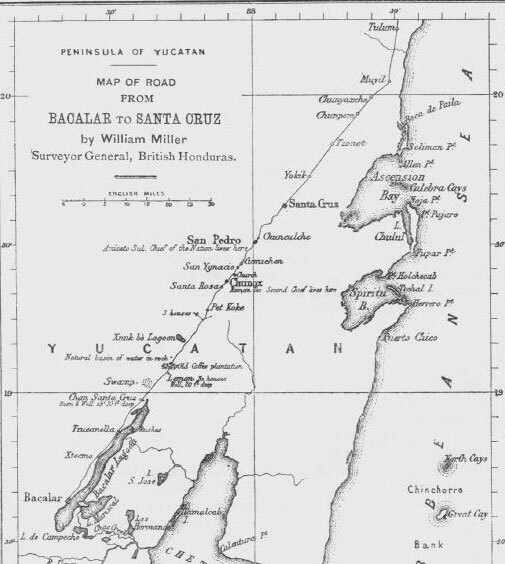 Many Mayan rebels fell hard for the ruse and soon a new town was established around the cross, Xbalam Na Kampocolche Chan Santa Cruz. A new military theocracy sprang up within the rebel cross-worshipers as well, headed by the priests who interpreted the messages of the ventriloquist. Later, the ventriloquist was replaced by a high priest, who presented God’s wishes to the Cruzoob in written form. Soon, other centers of Cruz Parlante worship sprang up, in villages like Muyil, Xpalma, Chumpón, San Antonio Muyil (near Caleta Chacalal), and Tulum. In Tulum, the high priestess of the cult (who was known as La Santa Patrona) was María Uicab, a charismatic and powerful woman who had left a string of husbands in her wake. By 1870, María had converted Tulum into the center of the cult’s operations, displacing Chan Santa Cruz as the most important rebel-held village in Yucatan. Sometime during her reign over the walled city, a Spanish missionary came by boat to call on the priestess. He was killed, the flesh removed from his skeleton and his bones set in cement in Tulum as a symbol of the power the Cruz Parlante had over the religions of the Spaniards. 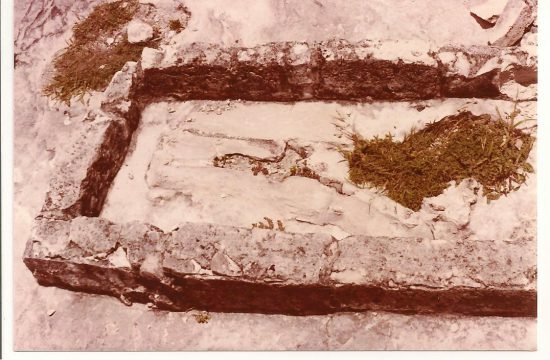 In 1978, I visited Tulum and took this photo of what remained of the bones, which have since been removed. On January 21, 1871, a thousand Yucatecan government troops led by Coronel Daniel Traconis attacked Tulum by surprise, capturing María’s son, and forcing the High Priestess to flee for her life. Regrouping her troops, Maria counter-attacked on July 3, 1872. The counter attack was answered by the Yucatecan government almost immediately and from that time on, no word was ever heard from María, who was most likely killed in the battle.